The internet is flooded with hacks—or clever solutions to a tricky problem—for everything from computer problems to dating issues. It was inevitable that hacks for laundry problems would find their way to your inbox. Unfortunately, many of them just don't work and instead of doing laundry correctly you're just wasting money. Dissolve five aspirin tablets in hot water and soak clothes before washing to make them super-white. There is no sound science to this rumored hack. I'm thinking that perhaps it got its start on the internet because aspirin was patented by Bayer—a German textile dye company—in 1899. The chemical compound of aspirin is acetylsalicylic acid which will break down when exposed to moisture to become salicylic acid. Salicylic acid has no bleaching effect on fabrics. 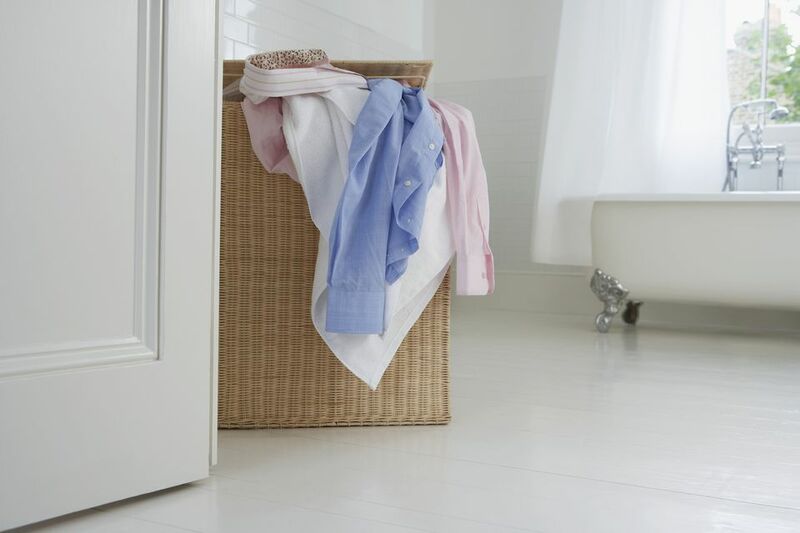 Pre-soaking clothes in hot water is actually what may make them appear whiter. The hot water helps to lift embedded grime and body soil from the fibers that makes whites appear dingy. Once they are loosened, they are much easier to wash away in a normal laundry cycle. Add one cup of salt to wash water to prevent colors from bleeding. There is a bit of science to this hack. Salts in various compounds are frequently used as a mordant to set dyes during the initial dyeing process. If you create your own organic dyes you'll find salt mentioned in many of the directions. However, once a garment reaches your closet it is too late to "set the dye." The dye must be set early and correctly at the proper stage of textile development to prevent color bleeding. Add two cups of coffee or tea to rinse water to keep clothes dark. Coffee and tea are effective dyes. However, the average rinse cycle in a standard top load washer uses 16 gallons of water. Even in a front load washer, there are five to seven gallons of water. How much dying is going to happen with two cups of coffee or tea? None to nearly none. Add one cup of table salt to rinse water to keep colors vibrant. This hack must come from those brightly colored fishes in the seas of the Caribbean. Actually, it could be because dry table salt can be used on the surface of fabrics as an abrasive to remove topical soil and dust that dulls colors. If the colors have dulled on non-washable textiles like pillows or silk flowers, place them in a large plastic container with several cups of salt. Give the container a good shake being sure that all areas of the soiled items are exposed to the salt. When you open the container, your dulled item will be brighter and the salt will look dirty. Add the juice of one lemon to wash cycle to boost detergent performance. There is a bit of science behind this hack. Acids do work well in cutting through the build-up of soil and detergent/fabric softener residues that are left on clothes. But there are only three tablespoons of juice in an average lemon. That's not enough to do a thing. For clothes that shrunk in the wash, soak in a pitcher of lukewarm water and conditioner for about 15 minutes. Lay out on a towel to dry. Again, there's a bit of science here. As you know, hair conditioner coats the hair shaft with a compound that helps to reduce tangles. When clothes shrink, the fibers "tangle" and mesh together. For knitted woolen sweaters and accessories (wool is the natural hair of a sheep), this hair conditioner hack may work if the shrinkage is not severe. However, hair conditioner is not going to save your shrunken jeans or woven cotton shirt. Add just one quarter cup of vinegar to rinse water to disinfect clothes. Distilled white vinegar is a miracle laundry helper but it does nothing to disinfect clothes and prevent the spread of bacteria and viruses.